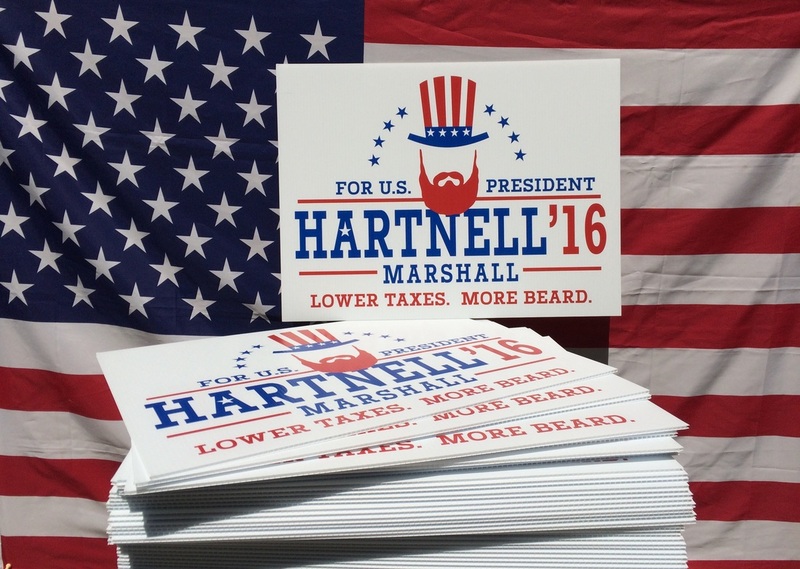 Interested in some ELECT THE BEARD campaign signs for your yard... and maybe your neighbor's yard when they aren't looking? 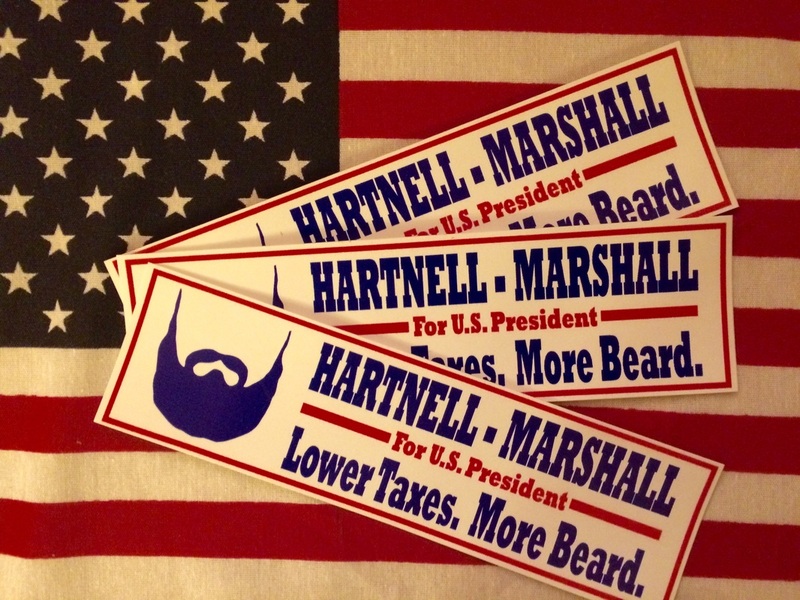 Interested in some ELECT THE BEARD campaign stickers for your car... and maybe a few for the lucky person parked next to you? 1. Decide how many yard signs ($10 ea.) and/or a bumper stickers ($1 ea.) you'd like. 3. Payment and pickup/shipping arrangements will then be made. 4. Don't forget! 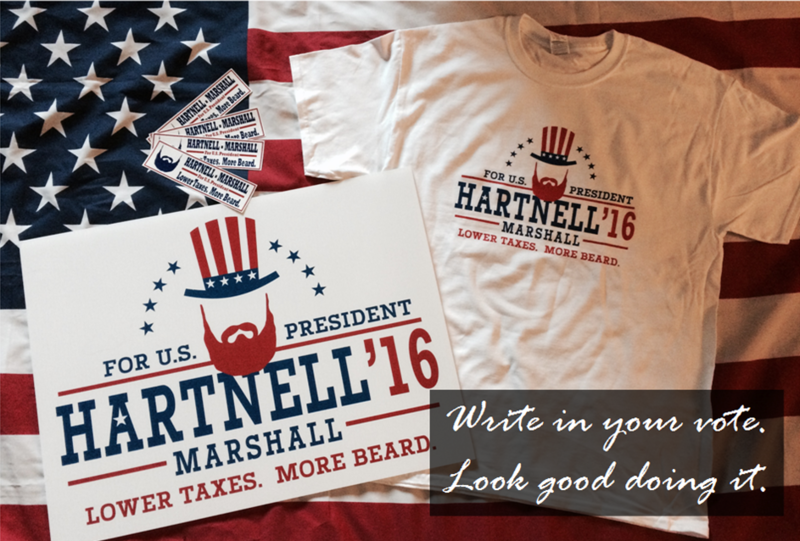 Nothing goes better with yard signs and bumper stickers than quality T-SHIRTS!!! Click HERE to complete your beardly experience! Let your friends, family, mild acquaintances, and frenemies know about these by hitting them up on Facebook, Twitter, and other social media outlets! Sign! Sign! Everywhere a sign! Get a sign. Put it in your yard. Send us your pic. End up on the Internet. Become famous. You're welcome.